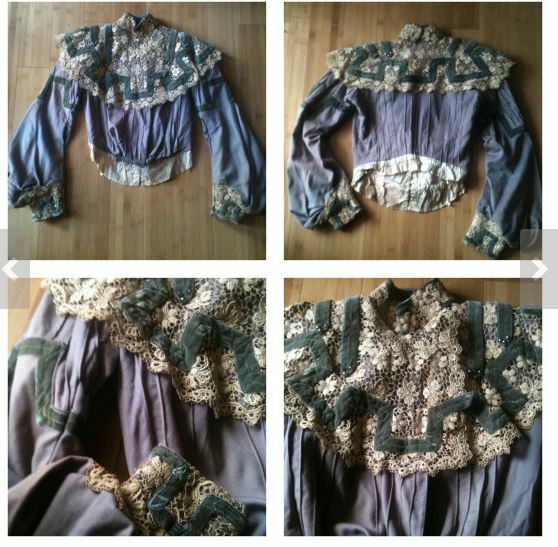 Edwardian or late Victorian for sale as is, for display, pattern, re-working or upcycling; not robust enough to wear. Those which were sold to us as wearable (caveat emptor when you buy vintage from overseas) have had the price reduced substantially. Continued next page. Dis2. Victorian gossamer silk, leg of mutton sleeves. Tiny holes and fabric thinning. $50. Dis6. 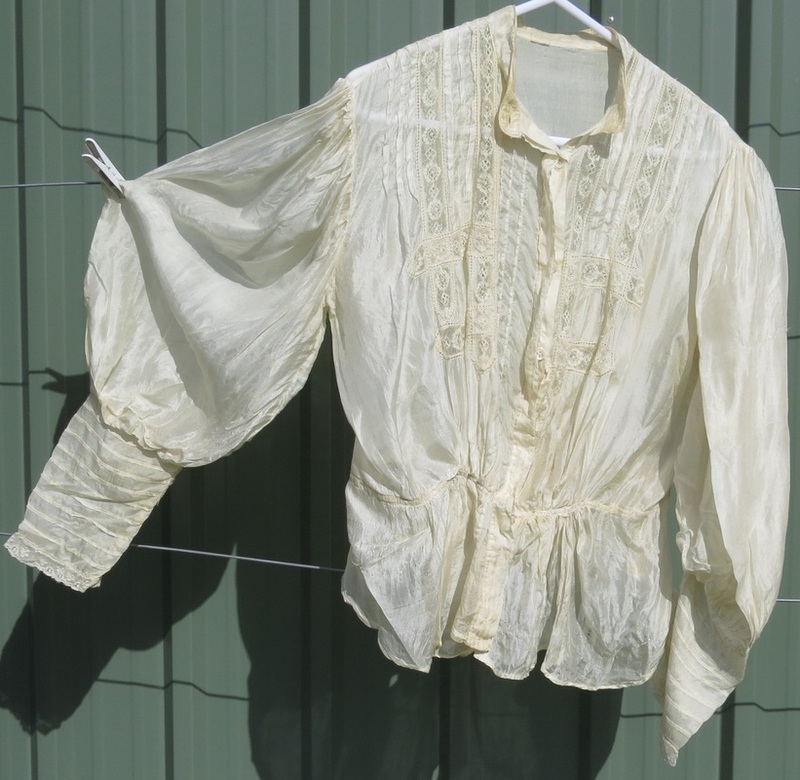 Victorian lavender wool blouse, with patches of fading of the lavender colour. Usable elaborate collar and cuffs of lace and sage velvet ribbon. $85. Dis8 Asymmetric late Edwardian silk dress; very unusual colour from this era. A few small holes. Fabric from the hem could be used to stabilise an area of shredding on one shoulder. B 90+ cm, waist 64. $60.